← Cyber Monday Deals March In! As is widely understood, aesthetic considerations are as important as technical ones when bringing software development in focus. Design thinking is nowadays spreading through the tech world fiercely, awakening the creative inspiration for the revolution in ModulesGarden as well. We are fully aware that an excellent user interface is something more than just a superficial application of attractive icons and a sensible palette. For the software to be exquisitely designed in all respects, it has to be integrally related, coherent, and easy in navigation as well. Working on these premises, our team strives earnestly to bring you the perfect balance of the conceptual lucidity and tasteful appeal, two crucial dimensions finely combined within our products. 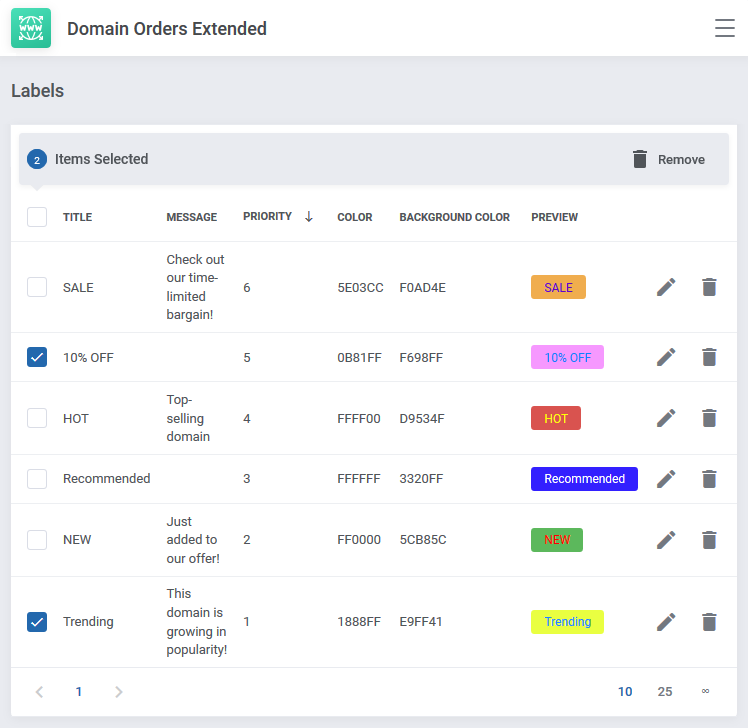 The milestone launch of Domain Orders Extended For WHMCS 3.0 has marked the opening of a next phase in product development at ModulesGarden, that is sustained evolution towards ultimately pleasurable interactions with our software. We have implemented a completely new framework to streamline the visual structure of our modules, smoothen the flow of their content, and also prioritize the most relevant data in a manner that is easily accessible. The new design has been based on the following fundamentals: accomplishing the functional objectives, satisfying customer needs and desires, and staying closely fitted into the ever-changing environment of WHMCS. 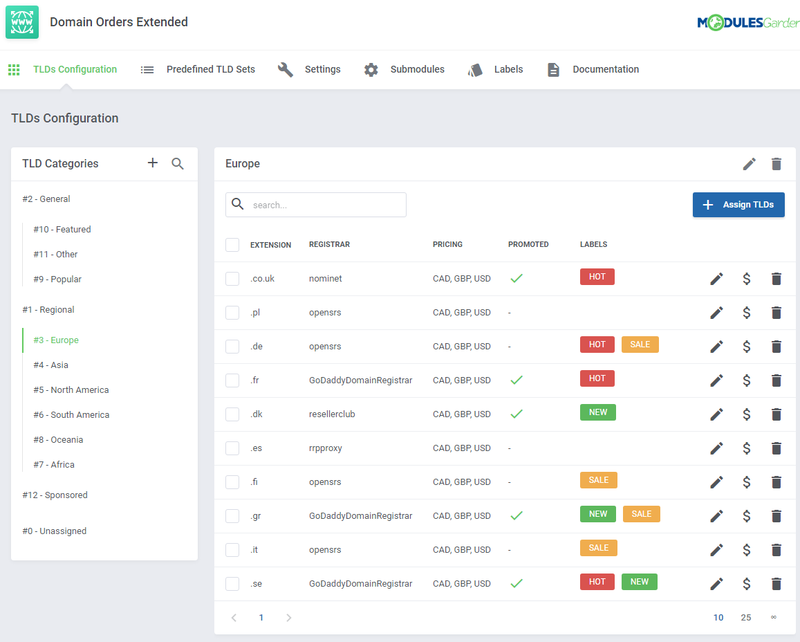 Domain Orders Extended For WHMCS 3.0 complies with all three assumptions in full measure thanks to the complex set of technological solutions it has been newly reinforced with. With the stratospheric growth of mobile device usage, the very first, and also an imperative step to be taken so as to achieve the maximum comfort and flexibility in user experience was the introduction of a fully responsive design. The mobile-friendly nature of Domain Orders Extended For WHMCS renders the navigation through different areas of TLDs management, regardless of what type of device you use at a given moment (phone, tablet, desktop, etc. ), equally simple and intuitive. Considering its minimalist form and a harmonious color scheme, the reconstructed user interface works greatly in favor of the data transparency. All crucial information on your domains is now closer at hand, organized neatly in purpose-oriented sections. An extra benefit worthy of your attention lies in the freedom of toggling between the inbuilt view and the fullscreen. If interested in using the latter, simply hide the sidebar and the module will dynamically adjust to the entire height and width of the screen, becoming as clear in arrangement and giving you as much operational space as possible. 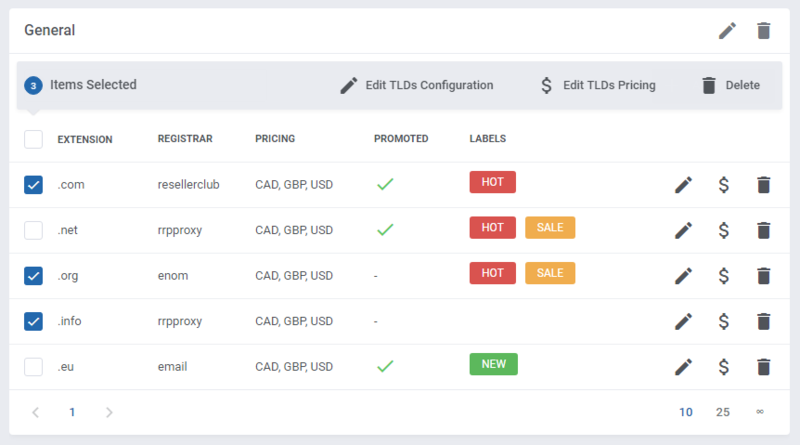 One of the many features contributing much to the overall simplicity of domain management is drag & drop that allows you to freely control the position of each category or even specific TLDs set within. With it, you will capably put the lookup results in a preferred order and then quickly change the sorting whenever you feel it is needed. Every single aspect of a new framework has been channeled into saving as much of your priceless time as possible. The capability to perform all most important actions on multiple domains at once is no doubt the advantage well deserving special mention in this regard. 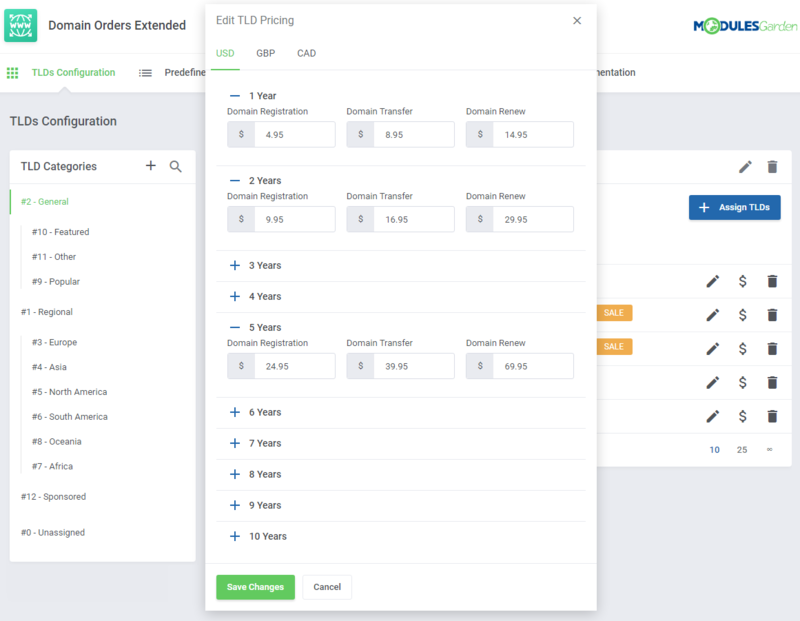 It will once and for all relieve you of the burden of not only adding or deleting, but also editing the configuration or pricing details one TLD at a time. Among the variety of other refinements introduced to further optimize the browsing experience, there are also far more intuitive search forms, sped up execution of assorted operations, and last but not least, the pagination. This one might prove particularly appreciable, as your customers will no longer need to peruse the full list of search results, but rather find specific domains and click through to the checkout easily. We are deeply convinced that fueling software with more organization and the right prioritization in visual terms goes a long way to improving its usability. Do you find this line of thought a goal worthy of pursuit? Are you pleased with the final upshot of this sweeping makeover? We welcome all personal insights and suggestions as they play the constructive role of a catalyst for the broadly interpreted qualitative advance of our products. By all means, have your say!